Synopsis: “If life were fair, Jam Gallahue would still be at home in New Jersey with her sweet British boyfriend, Reeve Maxfield. She’d be watching old comedy sketches with him. She’d be kissing him in the library stacks. She certainly wouldn’t be at The Wooden Barn, a therapeutic boarding school in rural Vermont, living with a weird roommate, and signed up for an exclusive, mysterious class called Special Topics in English. But life isn’t fair, and Reeve Maxfield is dead. Until a journal-writing assignment leads Jam to Belzhar, where the untainted past is restored, and Jam can feel Reeve’s arms around her once again. But there are hidden truths on Jam’s path to reclaim her loss. Well Belzhar was certainly odd. Very odd. Not really in terms of the magical realism aspect, but in the reveal of Jam’s mental psyche. Jam Gallahue had just experienced loss in the form of her British boyfriend, Reeve Maxfield. They were in love and with him gone, Jam fell into a pit of depression and misery. Unable to bring her out of it after trying therapy, Jam’s parents decides to send her to The Wooden Barn, a special boarding school for teens that have ‘problems’. At the school, she attains a spot in the much coveted Special Topics in English class, and is taken on a journey that leads her back into Reeve’s arms for a short amount of time. Belzhar is the name that Jam and her classmates give the place they are all whisked away to when they write in their special red journals. It’s a mash-up of The Bell Jar by Sylvia Plath, the author they study in the Special Topics class. One by one they come to realise the power of the journals and come together to share their experiences and their pasts with each other. We learn about each supporting characters’ past and the event that brought them to The Wooden Barn in the first place. Jam’s past is a mystery for most of the novel and the reader is brought to believe that she’s been scarred by the death of her boyfriend Reeve. But oh boy are we wrong. 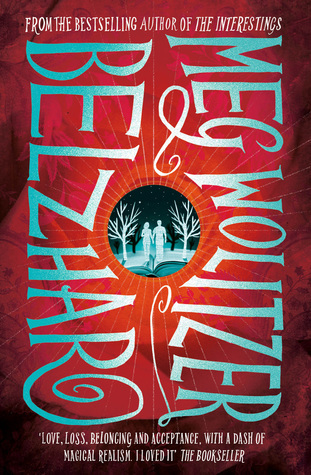 Wolitzer’s writing is beautiful and she weaves magical realism into the fabric of a contemporary journey of loss very well. Belzhar brings Jam and her friends back to a time before their loss, but as the pages diminishes in the red journal, they are all faced with the possibility of moving on with their lives. The journal allows them to confront their past, which they all do except for Jam who refuses to let go of her relationship with Reeve. And when we find out why, the reveal absolutely floored me. Trust me, my eye twitched a little because I was not amused. Oddly enough, I enjoyed the book a lot up to that point. It was written well, I liked the tragic back story of the side characters and the author treated grief with respect. But then we get to Jam. While I could understand her mental psyche, I personally could not relate, and her big reveal of her relationship with Reeve basically took everything I believed in and threw it out the window. Goddamn it Jam. What the hell?! That reveal really bothered me more than it should have. Jam is not exactly a likeable character by any means – she mopes around more than a lot – but when you find out why she’s the way she is and what little sympathy I had seemed to leave me all at once. This is by no means the author’s fault at all. Jam is probably intended to be such a character to shock the readers with her story and to sympathise with the different symptoms of psychological grief. Unfortunately I could not sympathise, which is ironic because I acted just like Jam’s friends did. I guess I can understand the message the author is trying to paint to the readers in that sense, but it’s just Jam. I just can’t with her. Belzhar is good. It’s written well, has great themes and I did enjoy it overall. However this is the first case in which a character has really affected the way I rate books. Jam and I just did not click and I hope I will never have to read from her perspective again. I guess in a way I should say kudos to Wolitzer for creating a character that’s so unlikeable she’ll probably stay on my mind for a while yet. Thank you to Simon & Schuster Australia for providing a copy in exchange for an honest review.